Smash Bros Ultimate looks set to be the biggest entry in the series yet. Not only are there 74 fighters to duke it out with, there’s also a brand new single-player mode and Spirits system to contend with. As with any new Smash game, it’s important that you study up on your character of choice, as there will likely be a few changes to how they handle. To help you ease into the new fighting style and systems, we’ve been busy putting together character guides for all of the fighters. In this Super Smash Bros Ultimate Young Link Guide, we’ll be outlining everything we know about Young Link. We’ll go over the changes from the last game, highlight some moves, take a look at the Young Link Alternate Costumes, and then see what his Final Smash is this time around. Be sure to check out our ever growing list of character breakdowns at our Super Smash Bros Ultimate Characters Guide. It has individual breakdowns for each character, and we’re adding more and more in the run up to launch day. Check back regularly to see if your favorite character has been covered. Young Link is back, having last appeared in Melee. 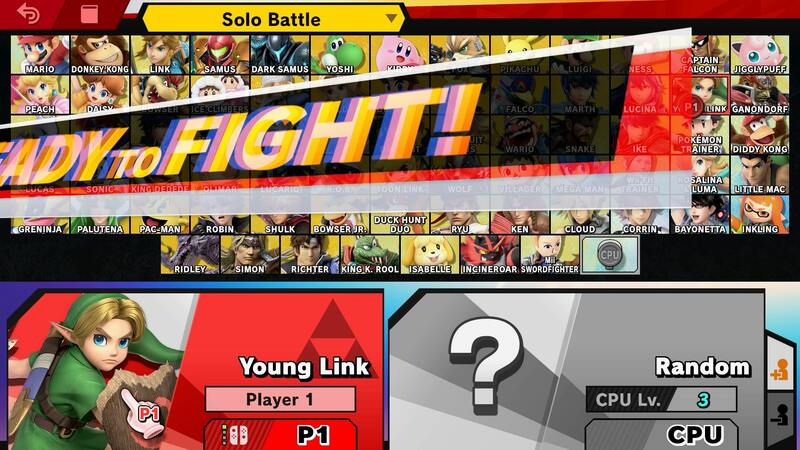 When compared to the rest of the roster, Young Link has gone through a lot of changes since his last appearance. He now has a Final Smash as well, meaning he’s more powerful than ever. Number 22 on the fighter list in Super Smash Bros. Ultimate, Young Link’s moves can be found listed out below. There’s also the Triforce Slash, where Link dashes forward to seal an opponent in the Triforce. Several of Young Link’s animations have changed including a new entrance animation, victory animation, a new throw for the Boomerang attack, and he is more expressive overall. Young Link is significantly taller. He now has a Final Smash called Triforce Slash. It’s very similar to Link’s though there are some noticeable differences to the ending animations. Hookshot has been altered slightly, and cannot be used to cling to walls. Young Link cannot be damaged by his own bombs when they hit an opponent..
Young Link’s Shield has been beefed up, and will now stop projectiles even when he is in motion. The Kokiri Sword has been redesigned, and now has a bronze hilt. 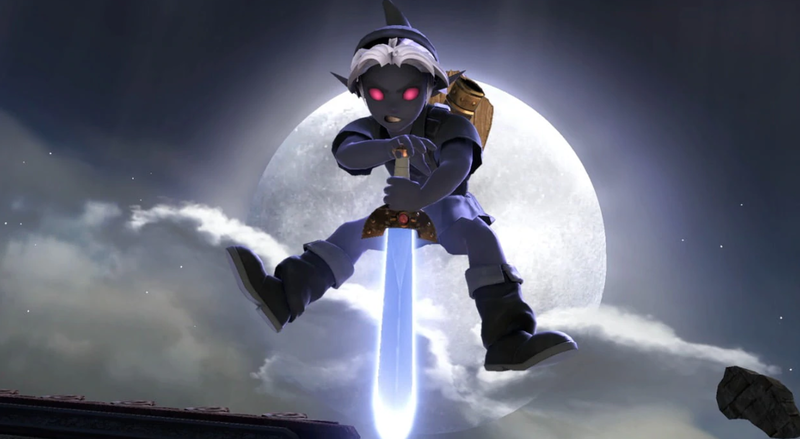 Young Link has a brand new Alternate Costume which resembles Dark Link. We’ve embedded an image above so be sure to check it out. Other than that, Young Link’s variants are just color swaps, in green, purple, indigo, light blue, pink, grey, and orange. We’ll be adding screens of each one after we get our hands on the full game. As we’ve mentioned previously, Young Link has a Final Smash this time! It’s called Triforce Slash, and is very similar to the move that Link uses in SSB4. There are some differences, see if you can spot them in the trailer at the top of this page. 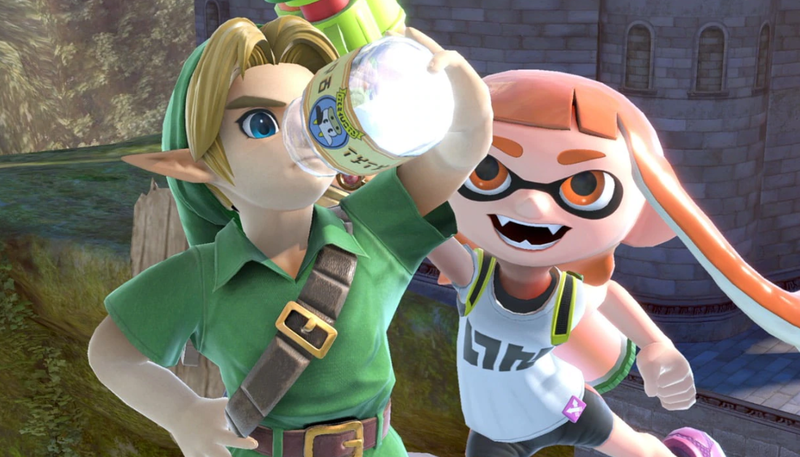 That’s everything we know about Young Link in Super Smash Bros Ultimate. We’ll be adding more info as we get it, but in the meantime you can head over to our Super Smash Bros Ultimate Guides Hub for more info on the game.